Wood-burning fireplace, oceanfront deck, full kitchen? You've never stayed in a motel like this! 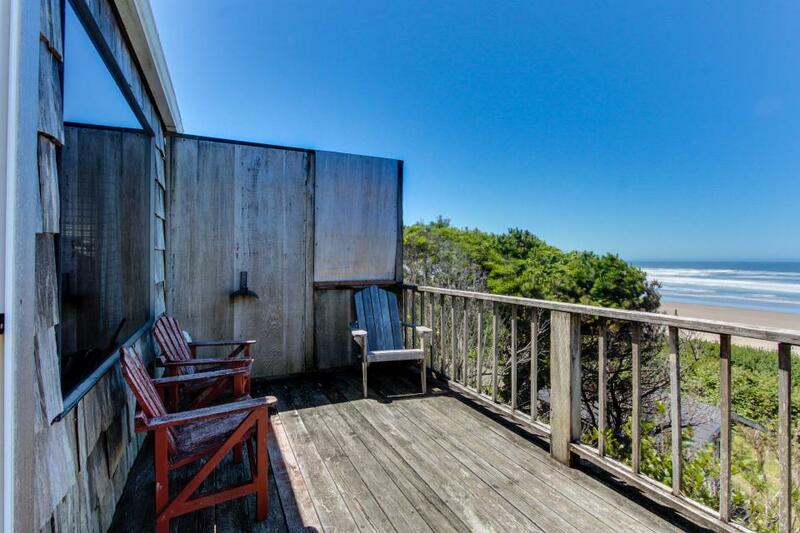 The Cape Cod Cottages, just south of Waldport, provide a charming alternative to traditional Oregon Coast lodging options. Rent your own private getaway, with a separate living area, full kitchen, and dining area. There's also a queen bedroom and a full bath, and best of all, a private oceanfront deck. Take in the sunset, or walk down to the sandy beach, where six miles of coastline await your moonlit strolls or early-morning tide pool explorations. The cottage is pet-friendly, too! Up to two dogs are welcome, with a $10 daily fee per dog, per day. WiFi is included with your stay as well. For a relaxing retreat with all the comforts of home and an unbelievable location right on the beach, you won't regret spending your getaway at the Cape Cod Cottages!